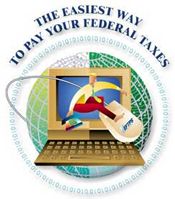 Tax Filing for Individuals, Businesses, States. 2018 Tax Cuts and Jobs Act and Section 199A (aka) The 20% Pass-Through Deduction. Enrolled Agents. Established in 1996. Read Our Reviews and become our client. Contact us: (772) 878 – 5655 or Make Your Own Appointment. Put us to work! Call us at (772) 878-5655 or click our Schedule Appointment button at a convenient time. We have been using Appel Accounting for many years now and would not go to anyone else. Bob & Maureen are lovely individuals and make us feel like family. Bob Appel is an ENROLLED AGENT, empowered by The United States Treasury to prepare your personal or business tax filing and to help resolve any IRS issue including: Offer in Compromise, Penalty Abatement, Delinquent Tax Filings, Tax Management, Representation and Income Tax Preparation. You may learn more about enrolled agents in Treasury Department Circular 230(PDF). Qualified . . . Enrolled Agent, a tax specialist. Reasonable . . . we’ll listen to you and we’ll always act in your best interest. Resourceful . . . “expert” associates available to work your specific issue. Reputation . . . to really help you and treat you with respect. Reliable . . . same location since 1996. Tested by the United States Treasury. Motive . . . we seek long term relationships; that’s it. 1. Clients’ interests always come first. 2. Our most important asset is our reputation. 3. We strive to provide superior Service and Support to each Client. 4. We take Pride in our work. 5. Anticipating the changing needs of our Clients is important. 6. Client information is treated with respect and in strict confidence. 7. We compete with other firms in an aggressive manner but we do not denigrate anyone. 8. As individuals and as a business, we’re Honest and Ethical always. See More Tax Tips on Our Tax Tips Videos page!